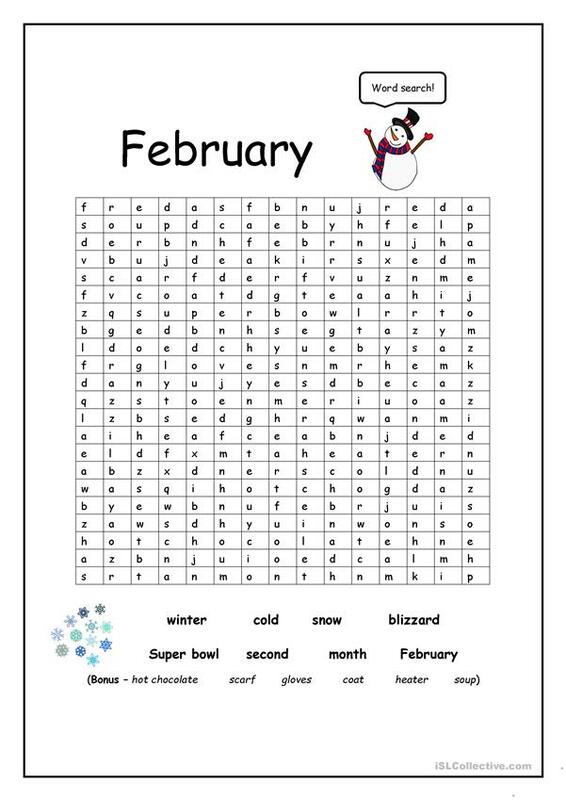 Find the vocabulary relating to the month of February in the word search puzzle. There are also some bonus words featured to make it a little more difficult. The word bank is located at the bottom of the print, and students simpy circle the words. The above downloadable handout is recommended for elementary school students at Elementary (A1) level. It is excellent for enhancing your class' Reading skills. It features the topic and words of Winter.